As I write this and schedule it to post in advance of the date you will see it or have it arrive to your devise, this date of the 17th of December is the day that I anticipate not one, but two grandchildren due to arrive. No, not twins — two different families. Of course, given my passions in life, I am hoping these children (boys or girls) will prove to be great distance runners. The genetics on both sides would tend to favor that outcome. I’m convinced that God would be a marathoner as a sport of preference. Hey, give me all of the Bible references to soccer, football, golf, Nascar, whatever. Now think about the many passages that talk about running the race. It is a matter of Bible exegesis … I rest my case. And yes, that’s who we have been talking about these past couple of days, looking at how Mary and Joseph and Jesus all quickly and fully obeyed God. In each case it would prove very difficult to do so, but they did. Hebrews 12:1 — Therefore, since we are surrounded by such a great cloud of witnesses, let us throw off everything that hinders and the sin that so easily entangles. And let us run with perseverance the race marked out for us, 2 fixing our eyes on Jesus, the pioneer and perfecter of faith. For the joy set before him he endured the cross, scorning its shame, and sat down at the right hand of the throne of God. 3 Consider him who endured such opposition from sinners, so that you will not grow weary and lose heart. Sorrows, difficulties and complications of life will find their way to every last one of our doors. It can even pile up sometimes, making us feel like just giving in or giving up. Thousands have gone before us and lived faithfully, and sufficiently and successfully, because of endurance and an eye on the goal at the end. Beyond that, we should consider again the ultimate model of the original pioneer of faith, of Jesus. Did everything go well at every turn of his life? Of course not, especially in the manner by which he would be the sacrifice for sin. How did Jesus endure all that befell him in his life and death? The text says that it was “for the joy set before him.” This joy would be the reward at the end of the process, the reward of life eternal and the inheritance of an eternal kingdom free of sin. The pain and scorn were all worth it. In my life I’ve run and/or biked thousands of miles in training and competing. And though there were certainly times I enjoyed the process of running and riding (usually in the first 30 minutes of a long run or ride), by the time I am getting near the end, hey, I am really ready for it to be done. I’ll sometimes pick up the pace and effort just to get to the finish. And stopping is … well … in a word – “glorious.” The reward of looking back was worth it all, and there would have been no reward in quitting halfway through. Of what use is pain? What value can be found in personal discomfort? If you were living in the first-century world—more specifically, the audience of the letter to the Hebrews—this might be a question that lurked in the corners of your mind. Earlier we’d pointed out that while some Christians had lost their lives for their faith, most early Christians had not yet experienced this full measure of sacrifice (Hebrews 12:4). Still, the shame that they bore as followers of Christ surely gave them pause. Would God’s promises endure? Was faithfulness still valuable? Could an end be seen other than pain? The author recognizes that—like Esau—many would face a time of testing, when one’s physical desires have to be weighed against the duties and virtues of life in God’s great kingdom. You do remember Esau, don’t you? It’s an important story, so let’s take a crash course. First of all, Esau had endured a hard day’s work; his life was hardly in danger. Still, he was willing to trade in his entire inheritance—including the promises of God—for a can of soup. So when the author of Hebrews appeals to this story, it’s as if he’s saying: Don’t allow your temporary physical discomfort to diminish your view of God’s eternal plan. Because the truth is we’re tempted to do this all the time. Notice that the author accuses Esau of sexual impropriety. When did that happen? If you read the whole story in Genesis, you know Esau defied his parents’ wishes by marrying Hittite women, so maybe the accusation fits there. If you lived in the first century, you may be familiar with a long tradition of stories that added sexual immorality to the list of Esau’s crimes. Or maybe the author is using sexual sin as a metaphor for spiritual “adultery,” the act of sourcing one’s purpose, pleasure, and security in something other than God. Like soup. Here’s what I think—and I’ll point out that of all the books I’ve read no one completely agrees with me(!). I think the author of Hebrews is blending these concepts together, and I think he does so to specifically highlight the way that young people especially have a unique calling to endure and be faithful. Why do I think that? Several reasons: first, the earlier reference to Proverbs deals (largely, though not exclusively) with instruction to Solomon’s children. Second, the passage above deals with instructions for the community—and young people would have a unique role in leading the community through the birth and raising of future generations. And third, because our choices of sexual expression are typically solidified during our younger years—that is, through marriage. So what’s the danger? The danger is that we might sacrifice the eternal things of God on the altar of temporal satisfaction. Young people, hear me: few things in life have more horsepower than romance. You will be faced with the temptation to date a guy or a girl that is absolutely amazing in every imaginable way—yet has no interest in Jesus or your spiritual development. If marriage is meant to be a reflection of Christ’s love for the church (Ephesians 5:25ff), then you have set yourself up for a lifetime of failure. I realize that stings, but consider it this way: if you place Jesus at the center of your life, but you commit yourself to someone who doesn’t share that, what do you expect to happen? Your partner may care about you, but without this deep, shared connection you will never experience true intimacy, he or she will never be able to invest in you spiritually, nor will he or she ever pour themselves into the spiritual development of your kids. Yes, the pain of breakups and singleness may hurt, but these tears are nothing—nothing—compared to the lifetime of being strangled by the roots of bitterness that grow from seeds sown out of temporary hunger. Some of you may already know this—because whether by choice or circumstance you find yourself yoked to a spouse whose spiritual interest is minimal if it exists at all. You attend church alone, you disciple your children without your partner’s assistance, and you spend night after night pleading for the soul of the one that shares your bed. Don’t give up. This, too, can be a source of God’s loving discipline, and the means by which you are ever encouraged to press into the grace of God. Because I recognize that some of you are facing this challenge as a daily reality, I close with the suggestion of a book that you may find helpful. 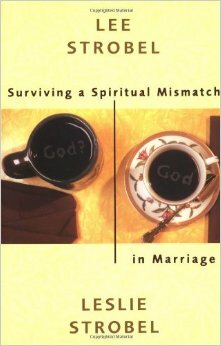 Lee and Leslie Strobel’s Surviving a Spiritual Mismatch in Marriage has been valued highly by those who wish to remain faithful to God (and teaching their children to do the same) when their partner simply does not share this faith. No one likes being told what to do. It’s my life, after all. Personally I’m profoundly passive aggressive in this area. I mean, I don’t even like it when Netflix recommends movies I should watch. In school, the surest way to get me to lose interest in reading anything was to assign it for class. It could have been the greatest book ever written—like, The Illustrated Guide to Fireworks, Candy, and Puppies—but as soon as I realize I have to read it I lose all interest. It’s one thing when these things are to our obvious benefit. It’s another thing when we’re asked to live contrary to what our society dictates. That was the situation in the first century. 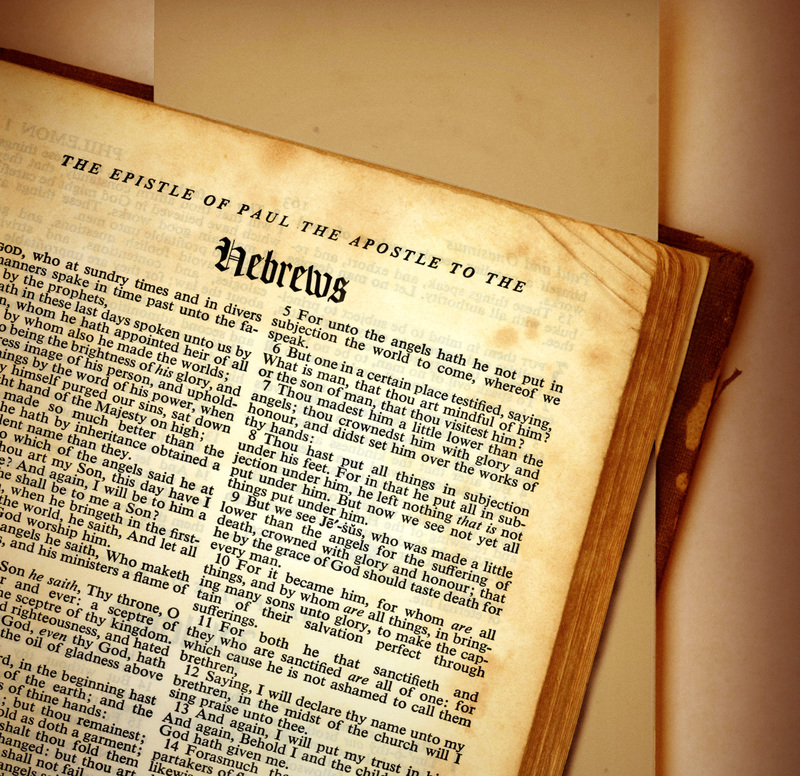 The writer of the letter to the Hebrews was pleading with his fellow Jesus-followers to hang on—to endure the pressures of a society that saw Christianity as a source of shame, not honor. So while Hebrews 12:1-3 had used the image of a distance runner to illustrate the need for endurance, the writer now switches things up a bit, moving from the imagery of an athlete to a student. Now, from a purely historical point of view, this is quite helpful—it tells us that the letter was written before the Christian persecution rose to a crescendo. And this also means that while yes, some early peoples had witnessed displacement and the loss of material property (recall that at one point in the first century, Jews had basically been evicted by the Roman government), this was nothing compared to the actual shedding of blood. In a way, their persecution was cause for joy—not sorrow. Discipline. The Greek root is paidea—if you’re a teacher, you might recognize it as the root of the word pedagogy, referring to the methods of teaching. If you trace it’s meaning over time, you see a clear evolution in the way “discipline” was understood. For the Greeks, the term related to intellectual instruction—primarily of young men. The ancient Jews (during the time of the Old Testament) saw “discipline” as related to a person’s moral development—such as when Proverbs 1:7 emphasizes “wisdom and discipline,” and a “wholesome discipline” that is related to a person’s “integrity.” By the time of the first century, the Jews’ many years of struggle led them to connect God’s “discipline” with their own suffering—a writing from the years shortly before Jesus said that “[God’s] discipline consists in fire and pain” (Shadrach Apc. 4:1). So when the writer quotes from Deuteronomy’s lessons on discipline (Hebrews 12:5b-6, above), what is he saying? He’s telling his readers: if you think your current struggle is arbitrary, you have it all wrong. Don’t merely endure this—learn from it. If you’ve ever been skeptical about religious belief, passages like this must surely throw you for a loop. Religion is man-made, we’re repeatedly told; but who would make up a God like this? A “Santa Claus” God who gives me what I want—that makes sense. But a God who disciplines? Who allows me to become wounded? Who would want that? Sigmund Freud thought he knew the answer. Though much of his ideas have now been lost (or rejected), Freud gave the world permission to understand the human soul without God’s help. Freud believed that religion provided a way to help us cope with immoral behavior and guilt. Freud essentially said that when thinking about morals, the human mind could be split into two categories: (1) conscience (“Don’t do that!”) and (2) guilt (“I can’t believe I did that!”). If I violate my conscience by doing something immoral, then I feel guilty. But if I am punished, my guilt is relieved (think about the Dobby effect we learned about earlier in this series—where people feel less guilty if they experience pain or displeasure). So if I want to justify my wrong behavior, all I need to do is accept my punishment. Religious “penance” becomes the cost of doing business. Did you see the movie The Godfather? Remember the final scene? The Godfather is in church, taking communion. But the director splices in scenes from the streets, where the Godfather’s hired guns are committing heinous crimes. Freud never saw the movie, but if he did, he’d say: See? Religion can be a powerful way of justifying the most heinous things imaginable. In other words, there are times when yes, I want a God who punishes me, because this punishment liberates me to act immorally as long as my crime brings more pleasure than my punishment brings pain. Freud would see this as a great irony: the punishment designed to correct behavior ends up enabling it. If Christianity were any other religion, we might need to concede this point. Karma makes more sense than grace. But Christianity offers a different message altogether. And the cross scandalizes the extremes at both ends. The cross defies my desire to see God only as a cosmic Santa Claus with a bag full of blessings; the cross challenges me to see God’s punishment resting on the shoulders of Jesus. At the cross, Jesus absorbed the wounds of God’s anger so that we could absorb the wounds of God’s mercy. Both are forms of God’s justice—it’s just that while Jesus absorbed God’s retributive justice we experience God’s restorative justice. I don’t know if I can always draw a straight line between suffering and God’s restorative discipline. What I do know is that our every human experience—even the ones that seem “painful” not “pleasant” can be opportunities for learning and spiritual growth. Are you going through a rough season? A hard time at work? Problems in a relationship? Don’t waste your suffering. Don’t waste your childlessness, don’t waste your heartbreak, don’t waste your grief. Instead, allow God to use even the harshest of seasons to sharpen you and strengthen you into a better agent of his kingdom. So, would there be even one person out there who would not believe that this is my #1 favorite passage in the Scriptures? Yes, what is not to like about it? It is all about the elements of long distance and endurance running! Oh, what I would give to be able to run again! But of course, this is an illustration of running the life of faith; and I can still do that with you, and you with me. 12:1 – Therefore, since we are surrounded by such a great cloud of witnesses, let us throw off everything that hinders and the sin that so easily entangles. And let us run with perseverance the race marked out for us, 2 fixing our eyes on Jesus, the pioneer and perfecter of faith. For the joy set before him he endured the cross, scorning its shame, and sat down at the right hand of the throne of God. 3 Consider him who endured such opposition from sinners, so that you will not grow weary and lose heart. Before I talk about the four directives we may take from these verses, there is first for us to note the connection to what has preceded – the heroes of faith, those who are now called “a great cloud of witnesses.” Seeing this as a stadium full of spectators who have completed their race and who are now cheering us onward as we run our own is to press the analogy a bit too far. We should not think of these “witnesses” as watching us from heaven and yelling “go baby go, you can do it,” but rather as those who by the stories of their lives can testify what it means to be successful in the marathon of life. The first of four directives is to get rid of anything that hinders running successfully. To run over a long distance for a long time, it requires the shedding of anything that is going to weigh down the competitor. Perhaps for the Hebrews it was ridding themselves of their heavyweight traditions and fears that had thwarted their progress. Beyond that is the issue of sins – described as entanglements, and sin certainly is that in terms of successfully running for the Lord. But the word here rather has the idea of something that is always hanging around nearby; and we know that sin is like that as well, always close and ready to hitch a ride like burrs that detach and stick to your clothing. The second encouragement is to run the race with endurance. To be successful at a marathon, one has to prepare strategically for a long day on your feet. It helps to know the entire 26.2-mile course – where are the hills and more difficult sections to be found. I would sometimes go a day early to a city where I was running a marathon for the first time and take a map and drive the course route. As well, dehydration can be a problem, and a runner has to drink a lot early and often in the race, even if not thirsty at that point. It you wait until you really need it, it is too late. There are going to be difficult sections, and mental preparedness in advance is a necessary element. The Christian life is like all of these things – there are going to be tough times and difficult stretches. Keep moving! The crest of the current hill might be very near … just keep going and trusting. The third encouragement is to have your eyes set upon the goal or prize at the end. The early part of a marathon is the easiest run in a runner’s life. It goes by quickly and easily. But after a while, fatigue begins to set in and difficulties emerge. As a runner you stop thinking about how far you have come, and next about how much remains. The goal is the glory of the finish line. The first marathon I ran was in Washington. And my fastest mile of the day was the last one – coming down off Capitol Hill to a finish in front of the National Gallery of Art. I was so excited to finish and complete my goal, I whipped through the final mile. And so should we in the race of life have the final goal in mind as we run. And finally there is a consideration of the ultimate endurance example – Jesus Christ. His race was beyond anything that we will experience. He had a goal – the completion of his mission in obedience to the Father and the reward as the King of Kings. Christ’s life was full of suffering and difficulties, and at the end he carried the sins of all mankind upon the wretched cross. And even as we have encouragement from the faith of others such as the heroes of chapter 11, our ultimate example of encouragement unto full endurance is Jesus Christ. So in conclusion (as Chris comes back to write the final six devotionals in this series) the plan for endurance in the Christian life is more than just avoiding the sinful things, but also denying lawful pleasures if they hinder spiritual progress. And it is the addition of a specific plan of growth. It certainly involves food – what one puts into one’s mind and life = God’s Word. And it certainly involves an action plan, with intermediate goals.